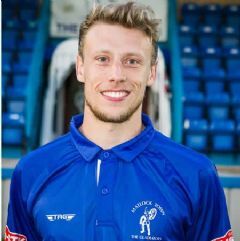 Adam has been Mr Consistent since arriving at Matlock from Shirebrook Town in March 2009, for whom he impressed against Matlock in a Derbyshire Senior Cup semi final. He began as a youth player with Chesterfield before joining Belper Town. Adam was voted as the fans player of the year in 2012/13, 2015/16 and 2017/18 and is the club captain having played more than 400 games for the Gladiators.